Attractive Young Woman Standing In A Forest, Hands Spread Around And Enjoy The Refreshing Natural Surroundings. Banco De Imagens Royalty Free, Ilustrações, Imagens E Banco De Imagens.. Image 77501032. 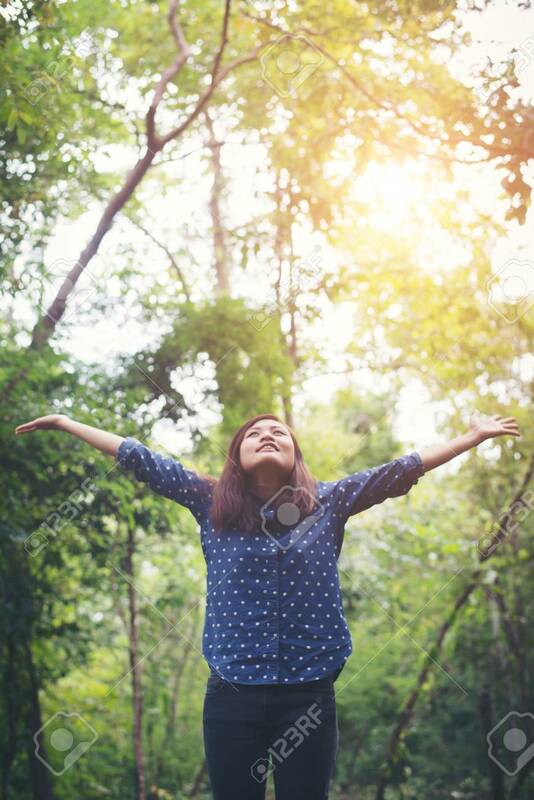 Imagens - Attractive young woman standing in a forest, hands spread around and enjoy the refreshing natural surroundings. Attractive young woman standing in a forest, hands spread around and enjoy the refreshing natural surroundings.